Review the statistics on how the human brain retains visual images at a rate higher than reading text, and it would be hard not to use video as a medium for communication. The stats vary among scientific research reports, research firms, scholarly articles, and not-so-independent research. Whether two-times or sixty-times greater, the retention rate of watching a video versus reading text is exponentially greater. This applies to all age groups. If your organization, college, or university is not already producing video content for recruiting, training, or other types of communications, that needs to change. That is, if you feel it is important to engage with what in 2015 the U.S. Census Bureau declared the largest demographic in the U.S.—millennials. Today they range between 17 and 35 years old. Live video will grow 15-fold from 2016 to 2021. Internet video traffic will grow fourfold from 2016 to 2021, a compound annual growth rate (CAGR) of 31 percent. Content Delivery Network (CDN) traffic will carry 71 percent of all Internet traffic by 2021, up from 52 percent in 2016. Not long ago much was written about the demise of the brick-and-mortar university model. The massive open online course (MOOC) movement was set to shutter the traditional classroom. Yet a 2014 report by Justin Reich, Menschel Rearch Fellow at HarvardX, revealed that on average, 6 percent of all HarvardX (HX) open online course registrants earn a certificate. “That number is in keeping with the ‘low’ completion number for MOOCs the media has often rightly zeroed-in on,” the report stated. If you had a hard time staying awake during “sage on the stage” lectures in a darkened auditorium during college, imagine how much harder it would be to hold the attention of a student sitting in front of a screen at home. 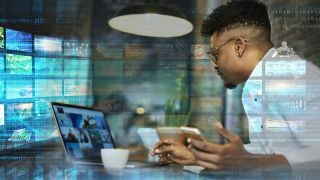 Corporate enterprises and other organizations often cite the abysmal MOOC completion rates as an excuse to not invest in video recording or live-streaming. Dig a bit deeper, though, and everyone can impart lessons from years of trial and error, research and measuring results done by many higher education organizations. Whether recording or streaming an all-hands meeting, a corporate training or recruiting video, the death knell is having one fixed-focused camera on the speaker. Think active, and actively think. Active learning is still fairly new. It’s possible if colleges and universities had been implementing active pedagogies, MOOC completion rates would have been higher. With the plethora of integrated collaboration tools, easy-to-use video equipment, flexible and affordable streaming platforms and content delivery networks (CDN)—all organizations can embrace video to enhance its message.